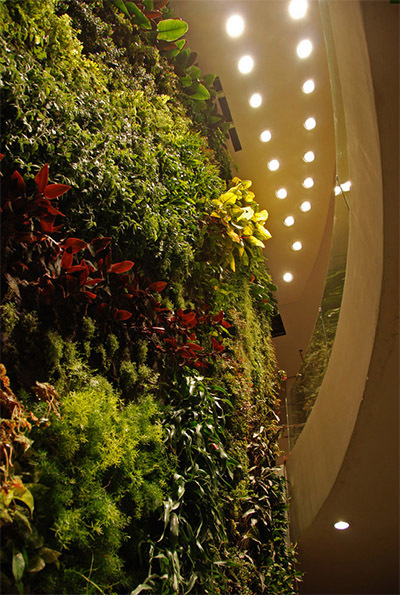 Patrick Blanc’s new website, which you can see HERE , had inspired me to share some of his vertical garden walls designs. First time I saw Patric Blanc’s work was in Paris about 11 years ago when it was such a novelty to have plants growing on walls. 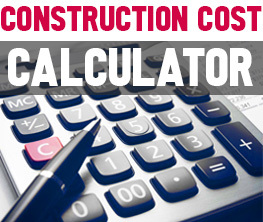 I am happy to see it becomes a more common design element in buildings exterior or interior design. 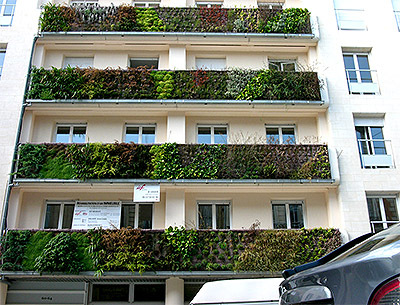 Patric covers buildings’ balconies with plants of vertical gardens with same ease as interior or exterior walls of buildings. His imagination and innovation are endless. Vertical gardens, or so called Green Walls, have become a part of our urban pattern and are more affordable than they used to be. 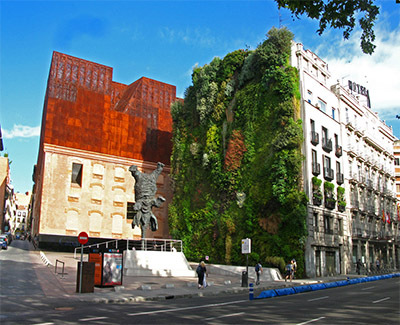 You can probably find a local vertical garden specialist in almost every big city near you. 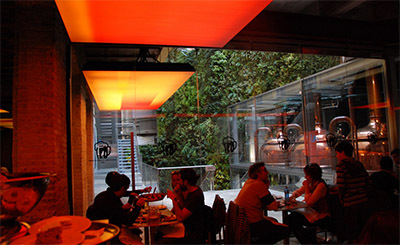 Brasserie Moritz, the room, Barcelona. 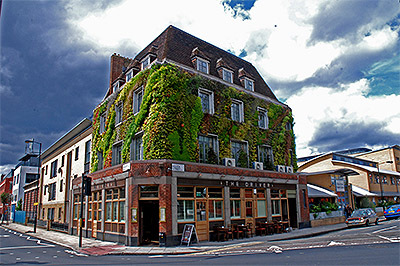 A nice pleasing environment is being created by greenery of the vertical gardens in a restaurant interior or even apartments. Beirut, interior Vertical Garden, two levels. 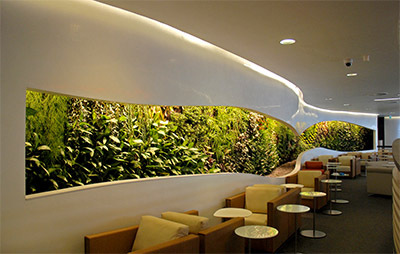 Benefits of having green walls are endless from fresh clean air to the visual stimulation of our brain which all have positive effects on our well being.